Hammer Nutrition is a company that knows what works; its consulting experts like Steve Born, a three time Race Across America finisher and Furnace Creek 508 champion, along with Dr. William Misner whose training and research specialized in Holistic nutrition have dedicated their lives to supplying the body what it needs to reach its potential in a balanced and healthy way. Hammer Nutrition has years of experience and the success that come with products that work. A full range of Hammer Nutrition Energy Drinks are available via their website. These drinks are crucial to your fitness regime for maximizing your own personal potential for success. The Hammer Nutrition HEED Sports Drink is a high-energy electrolyte drink that is great for a steady energy as exertion takes its toll. This drink helps to buffer the build up of lactic acid and helps to elevate cramps. The Hammer energy drinks are gluten-free and are vegan friendly. Heed is also Kosher certified and does not contain any MSG. There’s a large selection of energy drinks that are worth a perusal. On the other side of endurance exist recovery drinks that help the muscles recuperate from today’s push so they are ready for tomorrow’s training. The Hammer Nutrition Recoverite Drink is an example of one of these drinks. It is fortified with Glutamine that aids in minimizing muscle soreness at the end of day, and the building of muscle tissue. Recoverite is made from natural ingredient and restores glycogen to the muscle tissue. 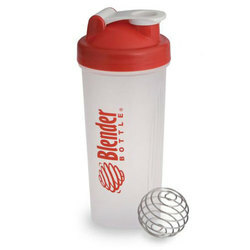 A very handy product for holding these drinks is the Hammer Nutrition Blender Bottle Shaker. It has a twenty-ounce capacity and contains a stainless steel blender ball that helps to mix those Recoverite drinks as well as great protein smoothies in half the time as other products. The Blender Bottle is easy to clean. Hammer offers the best because they know what it takes to be at your best today as well as tomorrow. These are only a few of the many products on offer. Hammer Nutrition also offers diet enhancement that help you get the most out of your diet, organic coffee, body care products and even the Compex Electrical Muscle Stimulators that help with toning and recovery. If this is not enough, you can also purchase clothes and a large selection of books from their bookstore. In addition, their website provides a knowledge base of Hammer’s extensive library of valuable information. There is so much available that you could spend hours researching and finding there was more to excelling than you thought was possible.